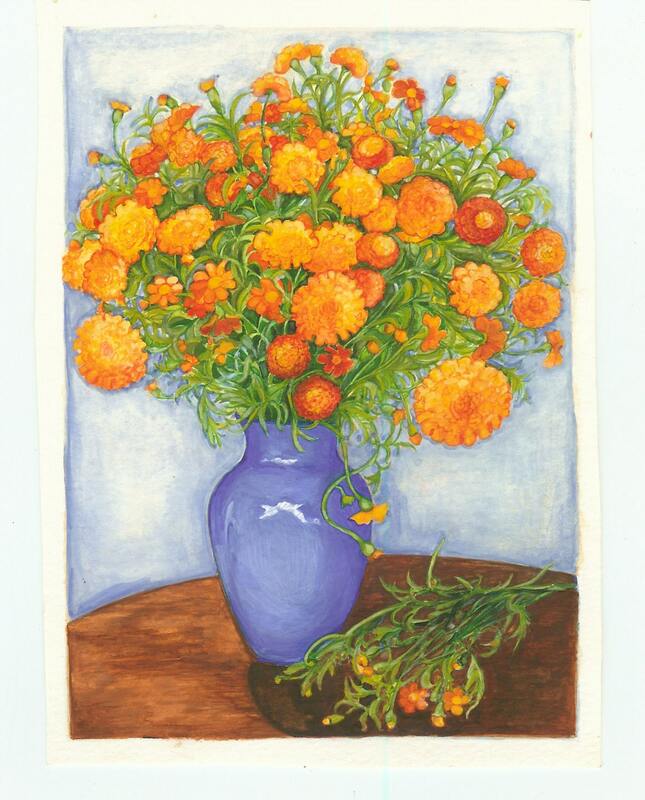 French Marigolds, original watercolor painting, scanned at high resolution. Print is 11x14, image is appx 9x12, with white border) archival quality, matte finish photo paper. 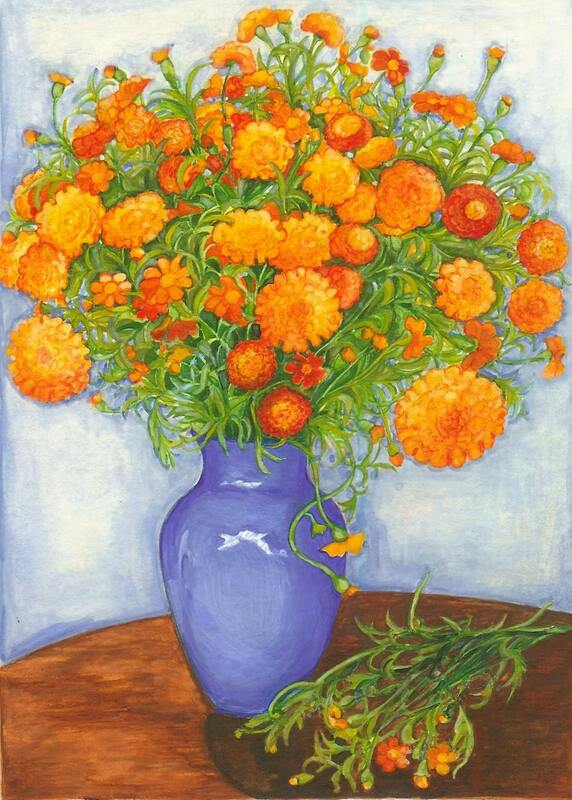 Vibrant and detailed flowers in bright golds and oranges. If interested in a larger print or stretched canvas, send a note.